Doctors are highly educated, often trained in specialized medicine, and may have years of experience. But not every doctor will make a good expert witness. A medical expert witness is called upon in court to make your case and explain the technicalities. He also lends his expertise before a case ever goes to court to tell you if you have enough evidence to make the lawsuit, or the defense of a lawsuit, worthwhile. Special training and experience set a medical expert witness apart from other doctors. 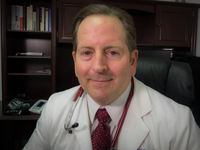 Dr. G. Edward Mallory, for instance, is a residency-trained, board-certified emergency medicine physician who’s been practicing for more than 20 years. He’s an expert in medicine, yes. But he also knows what to look for when reviewing medical charts for clients and attorneys in malpractice cases, whether they be plaintiffs or defendants. Affidavits need to be written a certain way, Dr. Mallory says. He’s taken a course on how to write them so they have meaning in a court of law. He’s spoken with medical malpractice attorneys about what they need for affidavits in malpractice cases. He reviews those requirements often to make sure his letters have the substance that attorneys need to win a case. In addition, Dr. Mallory is certified as a medical expert in the state of Florida. A medical expert witness generally has more understanding of the legal system than most doctors. He will provide skilled, honest and ethical testimony with the success of the case in mind. He understands how to give clear, consistent testimony that is difficult to contradict in a legal setting. When you are looking for a medical expert witness, inquire as to his experience, training and certification to make sure you are getting the best ally you can for your legal dispute.